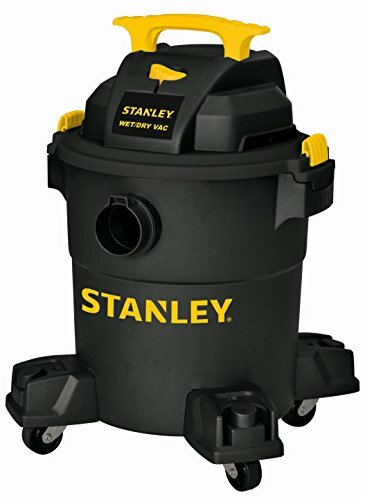 Stanley’s 8255618 Wet/Dry Vacuum, 6-Gallon, 4.0-Peak HP Wet/Dry Vacuum, with a powerful heavy duty motor for industry leading performance, provides maximum suction power for heavy duty pickup. It features a fine dust cartridge filter for cold fireplace ash, auto refinishing, cement dust, sawdust, drywall dust pickup and more. 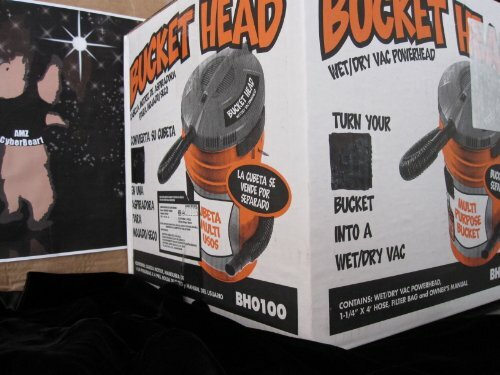 The powerful rear blower port instantly converts vacuum to power blower. Swiveling casters provide ease of movement in any direction. Other features include a strong handle for easy carrying, a large on/off switch with waterproof design for safe and quick access, a convenient, built-in 10-foot built-in power cord and wrap, an accessories holder to get all tools organized. 14-kPa. Airflow: 75-CFM. 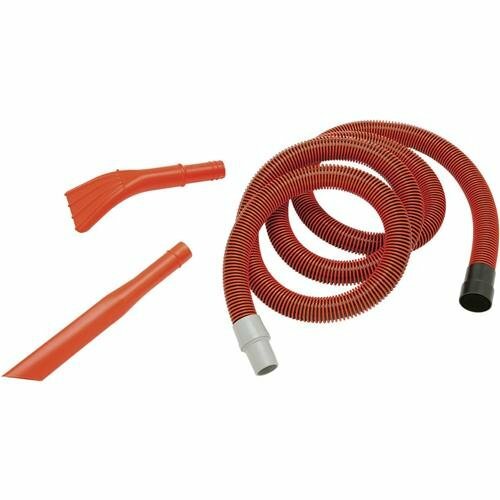 Accessories include a 1-1/4-inch wide by 6-foot long hose, two extension wands, crevice nozzle, 10-inch floor nozzle, cartridge filter and dust bag. Shipped without wheels installed to reduce the size of the carton.